Addi Ouadderrou, I was born and raised in an Amazigh (Berber) village in southeastern Morocco. I am proud of my Amazigh (Berber) heritage. My native language is Tamazight (Berber) and I am fluent in Arabic, French, Spanish and English. 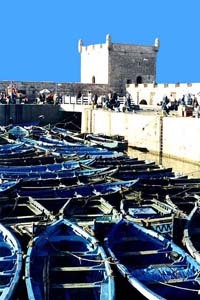 I have extensive experience leading tours in Morocco and I am willing to share with you my personal experiences and valuable cultural insights that only a Moroccan native can have. Day 1: Departure Flight to Morocco. Upon arrival, you will be assisted and transferred to your hotel by a private air-conditioned coach. You will check in at a four star hotel on the cost	for the night. Today, after breakfast, first we will make our way to visit the fascinating mosque of Hassan II then go on a beautiful scenic drive between the two capitals, we arrive at Rabat, which has ancient remains that date back to the 3rd century BC. We will visit the Kasbah of the Oudayas, a fortification that dates to the 13th century. This area is particularly scenic and we will meander through winding streets that end with a beautiful panoramic view of the Atlantic, then we continue to the Oudaya museum of Moroccan Arts, one of the best art museums in Morocco. 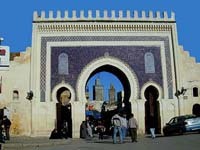 After breakfast, we will go on a tour of Meknes that includes the famous historical gate bab el mansour. 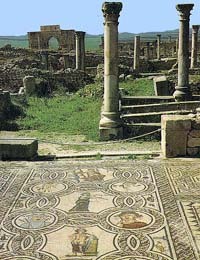 Fes was the center for many medieval ruling dynasties and is still considered to be the cultural and religious center of Morocco. Our day starts with a visit of the old city, also called the “medina”or “Fes el Bali.”This is an opportunity to learn about Medieval Islamic art and architecture in Morocco. We will visit 14th century Quranic schools, the 10th century Kairaouyine mosque and university, the Nejjarin (woodworkers) square, the Nejjarin museum, and the tomb of the 9th century ruler Moulay Idriss. Fes is considered to be the artistic capital of Morocco and is a wonderful place to see artists actively creating the intricate brasswork, textiles, clothing, and ceramics for which Fes is famous. After lunch in the Medina, we continue our visit of the medina, concluding the day with a visit to a factory outside the city specializing in handmade ceramics and mosaic. Today, when we leave Fes for Rissani, we pass through the majestic cedar forests of the Middle Atlas Mountains, stopping for lunch in Midelt. 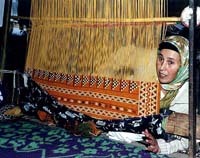 We will see Berber nomadic tents along the road, since nomads move to high elevations during the spring/summer season. We will spend the day touring the Tafilalet oasis and will be introduced to mudbrick architecture typical of this Saharan region of Morocco. A visit to the small, desert town of Rissani, the gate of the Sahara, allows us to view its beautiful Medieval architecture, and the ruins of Sijilmassa. Sijilmassa was once a stopping point for caravans crossing the Sahara, and the massiveness of its ruins are testament to the important role it once played in the history of North Africa. We will visit the market and have a discussion of Moroccan spices and herbs during a visit to a healer. We will finish our visit of the market after we stop at the donkey parking lot. We will continue to a Berber village of located on the fringes of the Sahara, for a home-cooked lunch by a Berber family. You will have another chance to spend time and interact with the locals. Later in the afternoon, we will leave for an adventurous ride across the vast open desert. We will see the colors change from green to brown and then finally gold when we arrive at the rolling sand dunes of Erg Chebbi, where the golden sand dunes rise up in the background contrasting with the deep, blue sky of the desert. Watch for the camels crossing the road! After the ride, we arrive at the charming Auberge du Sud in time for a sunset camel ride across the sand dunes. We leave Ouarzazate, crossing the picturesque High Atlas Mountains for Marrakech. This area of Morocco was once home to the Glaouis, a family that governed central Morocco during the time of the French protectorate. We will make a detour into the High Atlas Mountains and follow a road that once served as a major caravan route to Mali, the evidence of which you will see in the local people and the architecture. After a visit to the beautiful kasbah of Ait Ben Haddou, we continue to Marrakech, passing numerous Berber villages that dot the mountain ranges. You will have a chance to see hardworking Berber women carrying big loads on their backs. Upon arrival we check in at a charming authentic 350 years old Riad situated in the heart of the Medina	of Marrakech. We spend the evening visiting the Koutoubia and the dynamic Jamaa el Fna square, an open area where both locals and visitors go to be entertained by actors, musicians, and acrobats who are guaranteed to entertain. This is a good opportunity to have your palm read or a tooth pulled by a local dentist working in the square. After a leisurely breakfast, we will tour Marrakech the 11th century capital of Morocco. Everything in Marrakech is worth seeing. We will visit to the brilliant gardens and museum of Majorelle, a complex later maintained by the French designer Yves Saint Laurent. The gardens were originally owned by Jacques Majorelle, an Orientalist painter. Our tour continues and will take us to see the delicate beauty of the 19th century Bahia palace, beautifully decorated with carved cedar wood, marble, and mosaics, then to a private museum which houses a variety of textiles and arts. After lunch, we go for a visit to the Ben Youssef Medrassa, the vast and superb Quranic School. 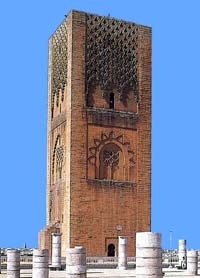 We will also visit the Museum of Moroccan Arts, a venue for contemporary paintings and traditional arts. Transfer to Casablanca’s International Airport Mohammed V with luggage assistance to catch your flight from Morocco to the US.